I am requesting medication solely for the purpose of my own use. I will use this medication according to the instructions given by my physician. I will contact immediately my personal physician in case of any complication concerning the ordered medication. I have checked the local laws regarding the importation of medication and it is legal for me to order. I am old enough to order medications and use the credit card or any kind of payment I choose according to my local laws. I will not hold www.mygenericpharmacy.com, Indian Exports or any partner responsible for any misuse, or legal matter related to the purchase of my medications. I am acting on my own behalf, at my own risk and my own liability and assume all responsibility for the purchasing and use of my medications. I realize there are risks as well as benefits to any medication, even OTC drugs, and having been informed of possible effects, I consent to treatment as I may request. The use of this site for illegal activity is strictly prohibited. This site and all sales are subject to the laws of the country of Gibraltar. Any dispute, lawsuit, or claim against www.mygenericpharmacy.com, Indian Exports or any of its partners venue Gibraltar. We reserve the right to change or amend any term, condition, or warranty contained on this site or in our literature at any time for any reason. www.mygenericpharmacy.com, Indian Exports provides the site and the information on an "as is, where is and as available" basis. To the fullest extent permitted by law, www.mygenericpharmacy.com, Indian Exports does not make any express or implied warranties, representations, endorsements or conditions with respect to the site or the information, including without limitation, warranties as to merchantability, operation, non-infringement, usefulness, completeness, accuracy, reliability and fitness for a particular purpose. 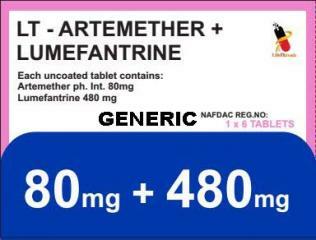 Further, www.mygenericpharmacy.com, Indian Exports does not represent or warrant that the site will be available or meet your requirements, that access will be uninterrupted, that there will be no delays, failures, errors or omissions or loss of transmitted information, that no viruses or other contaminating or destructive properties will be transmitted, or that no damage will occur to your computer system. You have sole responsibility for adequate protection and backup of data and/or equipment and to take all precautions to scan for computer viruses or other destructive properties. You acknowledge and agree that www.mygenericpharmacy.com, Indian Exports does not endorse the content of any member or any site accessed via links or other means from the site and it is not responsible or liable for such content even though it may be unlawful, harassing, libelous, privacy invading, abusive, threatening, harmful, obscene, or otherwise objectionable, or that it infringes or may infringe the intellectual property or other rights of another person. . Except where prohibited by law, under no circumstances, including, but not limited to, negligence, shall www.mygenericpharmacy.com, Indian Exports be liable for any direct, indirect, special, incidental or consequential other damages, including, but not limited to, loss of data or profit, arising out of the use, or the inability to use, the site or the information, even if www.mygenericpharmacy.com, Indian Exports has been advised of the possibility of such damages. The name www.mygenericpharmacy.com, Indian Exports is the trademark and property of www.mygenericpharmacy.com, Indian Exports, all rights are reserved. The use of the name and/or logo is strictly prohibited by law. Any representation of the name or logo that might be confused for www.mygenericpharmacy.com, Indian Exports or any that might be likely to cause discredit or disparagement is also strictly prohibited. www.mygenericpharmacy.com, Indian Exports will prosecute all violators to the fullest extent of the law. All material, logos, and images on this site are the express sole property of www.mygenericpharmacy.com, Indian Exports or the original creator and can not be reproduced, copied, published, or displayed in any form, including but not limited to other websites, print, or copy. If you wish to use any information on this site you must obtain written permission from www.mygenericpharmacy.com, Indian Exports.